The Queen is in Kent on a special visit to celebrate 300th anniversary of Corps of Royal Engineer at Brompton Barracks. It involves over 140 troops. 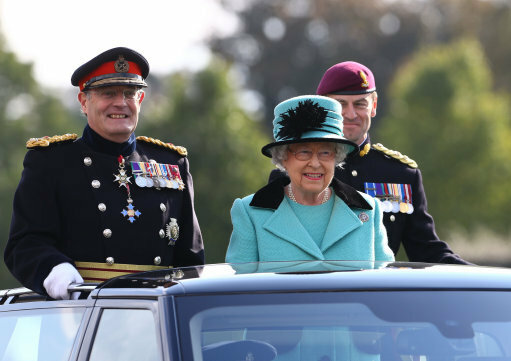 After the parade, the Queen will meet military personnel from the Corps of Royal Engineers, of which she is colonel-in-chief. as well as view examples of heavy specialist equipment used by soldiers. The monarch last visited the corps at Brompton Barracks in 2007.